Volkswagen AG officials are reportedly headed to Dearborn this week to meet with their Ford Motor Company counterparts. On the agenda is a continuation of of the two firms discussing partnership opportunities, but reports suggest talks surrounding electric vehicles have had to evolve. On a broad basis, the two automakers are still discussing how they can partner up regarding electric vehicles and autonomous vehicle technology. This would be an expanded scope of the partnership the two announced last month surrounding commercial vehicles. However, electric vehicles and autonomous technology are both pricy ventures and complicated. Recent reports have suggested that talks surrounding electric vehicles have had to be isolated from the broader partnership discussion. Both companies have fundamentally different approaches to electric vehicles; Ford is wanting to produce higher-end EV’s, while Volkswagen is more focused on mainstream EV’s. 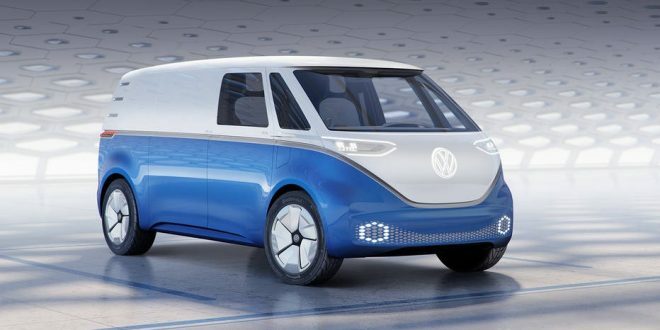 Originally the electric vehicle concept was going to be along the lines of Ford making an investment into Volkswagens MEB electric vehicle program. In return, Volkswagen would invest in Ford’s autonomous vehicle technology. Now it remains unclear if this option is still on the negotiating table. Talks surrounding autonomous technology sharing have also been complicated. Ford owns a majority stake in Pittsburgh-based Argo AI, which is spearheading the company’s autonomous tech development. Volkswagen’s Audi also owns its own AI business unit called AID. There is chatter Ford and Argo AI have approached Audi about making an investment into Argo, reportedly to the tune of $1 billion, but Volkswagen felt that was too high. Reports now suggest the automakers are discussing Volkswagen making a $500 million investment into either Argo AI or Ford Autonomous Vehicles LLC, which is Ford’s autonomous vehicle unit. It’s unclear if the two automakers have a timeline in mind for firming up remaining partnership opportunities, but it sounds like the two have many details to sort out. I think the challenge here is the technology roadmaps are a very different for BEV vs. autonomous. Battery tech is progressing in a pretty linear and predictable way. Sure, there might be a new tech that moves they whole industry forward. But, there don't seem to be any unsolved issues that would stall BEV development from a technology standpoint. That's not true for autonomous tech. There are a bunch of to-be-solved hurdles to get beyond Level 3, including cost (cheap lidar would be a boon; it's absense probably means using the data-synthysis approach that Tesla appears to be taking); better AI and a whole host of needed infrastructure changes (vehicle to vehicle and vehicle to infrastructure communications). So, the timelines on autonomous are less clear. VW has something with a pretty established time to market. For Ford to trade that for something with more market risk undoubtedly makes for a challenging negotiation.